(Leah Hogsten | Tribune file photo) The largest of the two greenhouses is the most efficient of the two because it's geo-thermally cooled. "We're a clean operation, a green operation," said Joel Stanley, October 25, 2014. "There are no molds and mildews on our plants, because it's so dry here." For cancer patients seeking relief from chemotherapy, auto-immune patients and parents of children with debilitating seizure disorders, the medical marijuana cultivators Joel, Jesse, Jonathan, Jordan, Jared and Josh Stanley of Colorado Springs and their non-profit Realm of Caring Foundation is their only option. 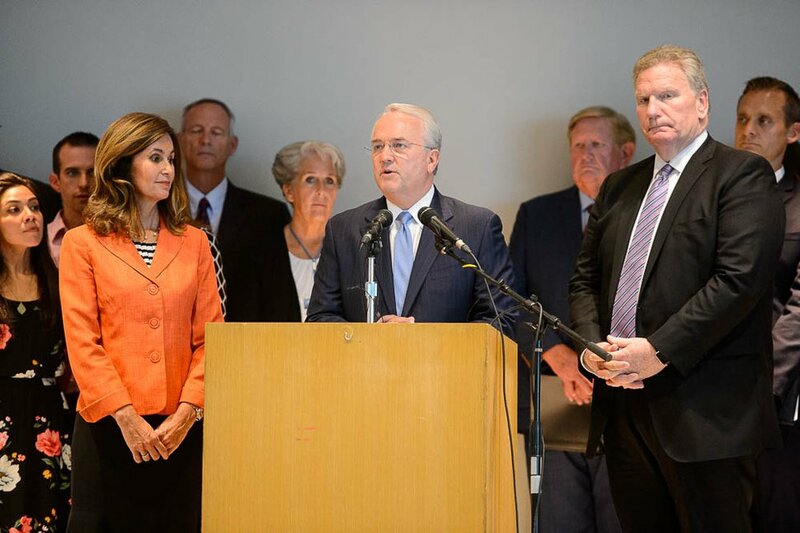 Leaders of Utah’s LDS Dems, the largest caucus within the state’s Democratic Party, are urging their fellow Latter-day Saints to prayerfully consider the facts surrounding medical marijuana before reaching their own conclusions on Proposition 2, a ballot initiative to legalize the use of cannabis by patients with a doctor’s recommendation. The group’s position, released Tuesday in a lengthy press statement, differs and takes issue with the recent positions of The Church of Jesus Christ of Latter-day Saints on Proposition 2, which last week sent an email to its Utah membership urging opposition to the initiative. The Utah-based faith has steadily ramped up its opposition to Prop 2 as the November election approaches. In April, church leaders praised the Utah Medical Association for its statement opposing the initiative. And, in May, the church released a legal analysis outlining perceived deficiencies in the ballot question. This month, LDS representatives encouraged high-profile Utahns to join Drug Safe Utah, a coalition working to defeat Prop 2. And last week, the church formally joined the coalition, with Elder Jack Gerard, an LDS general authority Seventy, elaborating that while church leaders oppose the initiative, they do not object to the medicinal use of marijuana when proper safeguards — including formal prescriptions filled at licensed pharmacies — are in place. (Trent Nelson | The Salt Lake Tribune) Jack Gerard of the LDS Church, with Lisa Harkness and Craig Christensen, announces the church's opposition to Utah's medical marijuana initiative at a news conference in Salt Lake City, Thursday Aug. 23, 2018. Federal law prohibits physicians from prescribing marijuana as a treatment and bars pharmacies from distributing cannabis products. Christian Harrison, the LDS Dems' media liaison, said the church appears to be “punting" by suggesting that no progress on medical marijuana can be made until the federal classification of cannabis as a Schedule I drug is altered. But that message is implied, Harrison said, while the church remained silent on legalization efforts in other states where practicing Latter-day Saints reside. Some 30 states have legalized medical marijuana. Harrison said the church’s efforts on the issue of cannabis are additionally “disconcerting,” given the many topics of public policy — like air quality or the separation of immigrant families — that leaders were reluctant to speak on, if they did at all. Church spokesman Eric Hawkins declined to comment beyond restating the faith’s position that voters are urged to vote “no” on Proposition 2, and to call on state elected officials to collaboratively work on a solution that will work for all Utahns. 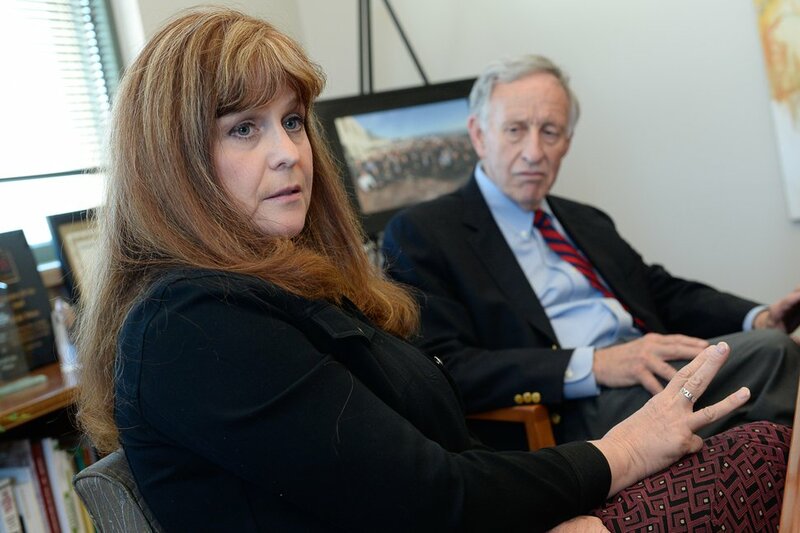 In a meeting Tuesday with The Salt Lake Tribune’s editorial board, Utah Medical Association CEO Michelle McOmber said her organization’s primary objection to the initiative is that it is not truly aimed at medical treatment. (Francisco Kjolseth | The Salt Lake Tribune) Michelle McOmber, CEO of the Utah Medical Association and Jim Jardine with Drug Safe Utah, voice their opposition to Proposition 2, Utah's medical marijuana initiative as they speak to the Salt Lake Tribune Editorial Board on Tuesday, Aug. 28, 2018. 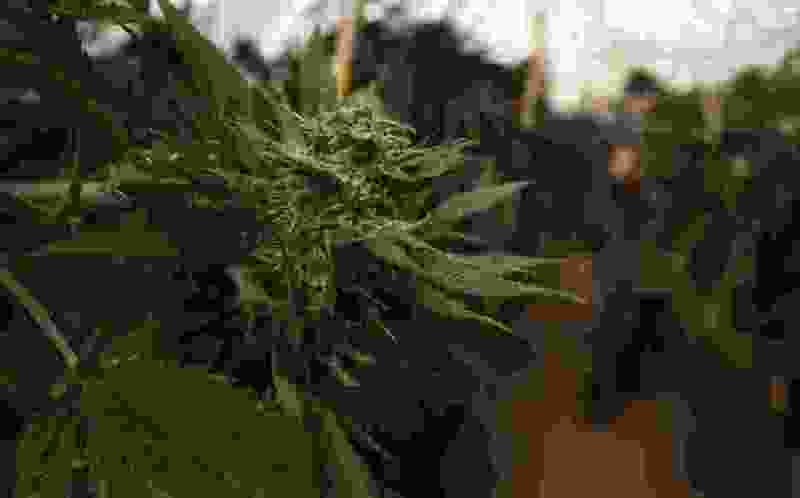 A better medical marijuana bill, she said, would be scientifically based and rely on precise dosing of marijuana derivatives produced by the state’s Department of Agriculture, as opposed to unregulated dispensaries. “We don’t see brownies or cookies, or what have you, as a way to go with medicine,” she said. Eric Biggart, the LDS Dems' chairman, said the caucus does not have a formal position in support or opposition to Prop 2. He said his group’s statement is meant to encourage careful study of the medical marijuana question and individual determination of how to vote.